Targeting your audience with the right keywords is only half the battle. Now, we need to find an effective strategy for engaging each user. Responding to users with, “Hey awesome! You like cat food? Visit our web site!” isn’t going to cut it. Proper engagement needs to contain either one of two things a “click” factor or a “response” factor. A response factor is an incentive for the user to respond and engage in dialog. This strategy is perfect for putting a personal touch on a brand. One of the easiest ways that you can utilize a response factor is to ask a question. “Whats your cat’s favorite thing to eat?” Utilizing the response factor is perfect for branding; however, it can require more time and engagement because the goal is having a valued dialog. 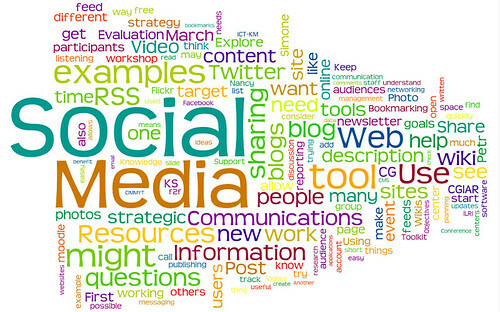 When executing outreach marketing in social media, social media monitoring tools can be very helpful. Defining your target audience and keywords is the first step. Breaking your keywords down into primary and secondary keywords can help refine and target your audience. Developing a strategy for engagement is vital. Combining both “click” and “response” incentives are important when engaging. So the next time you are looking for a new branding or buzz building strategy, consider combining outreach marketing with social media monitoring tools. This article is published by Search Engine Land, click here to read the original article. Stats on social networks are important, but don’t rely on them alone. Data is like fire, it can be used for good and bad, proper insight and analysis is always required. Beyond that, you’ll often see conflicting stats across the industry as everyone has different methodologies, as a result, this listing will help you to see the greater trends –not numbers without context. Numbers don’t tell us much without insight and interpretation, in fact, you’re going to see conflicting numbers of usage from many of the agencies and social networks themselves. The key is to look at trend movements, don’t focus on the specific numbers but the changes to them over time. Put more weight on active unique users in the last 30 days vs overall registered, in fact, the actual active conversion rate will often range from 10-40% of actual users sticking around and using the social network, so don’t be fooled by puffed numbers. No single metric is a good indicator, you have to evaluate the usage from multiple dimensions, so you also have to factor in what are users doing, time on site, interaction, and of course, did they end up buying, recommending products, or improving their lives. This article is published by web-strategist, click here to read the whole article. New resources are created and new things are invented on the internet and people/smart businesses utilize them to make millions of dollars online. There was a time when everyone was talking about making millions using mini sites. Now, social networking is something that is helping people generate more sales than they had ever imagined before. If you want to give your business a powerful push and increase your sales significantly, you need to start networking now. How Many Days will it Take You to Succeed and See Results? Remember, there is no shortcut to success. You have to remain consistent in your efforts. Businesses that have succeeded online didn’t become successful overnight. If you rush and start adding friends and sending messages haphazardly, you will soon destroy your image. It is important that your reputation remains intact on social media to enjoy business growth and success. Let’s say you were having a good time with some of your friends. However, one friend is quiet. When you asked him what happened, he began to talk about the greatness of his business. Well, you were least interested in his business as you were there to relax and have fun. However, your friend just kept talking about promotions and advertisement. Well, this is how your online network will feel if you will continue to post links to your products and discount offers. So, avoid spamming, always! The purpose of online social networking is to meet people, get to know them, understand their needs and offer help whenever possible. So, you need to talk to people and let them you know you exist and you are not a link posting machine. If you want to be heard, you should start listening to what people are saying. When anyone communicates or posts a picture, you should reply or write a nice comment. After all, this is what social networking is all about, right? If you will listen to them, they will listen to you as well and take interest in whatever you will write. You need to observe the behavior of your network in terms of what sort of content they post. You need to also post similar stuff to get them interested in your content. A lot of people tend to ask questions, instead of searching for solutions in search engines. When someone asks a question and you know the answer, this is a great opportunity to interact with them. Once you become familiar with your network and after people get to know you, you may slowly and strategically talk about your products. If you have managed to win their trust, they will check out your products and recommend them too. You have got to stay calm and cool when you start online social networking. It might take some time before you see some results, but you will be more than satisfied with the results if you manage to build a network of friends that trusts you. This article is published by socialmediatoday, please read the original article here. written by Gavin O’Malley is a reporter for Online Media Daily. Thanks to the ongoing recession, 2009 will go down as the first negative growth year in the history of U.S. e-commerce. That’s according to comScore’s 2009 U.S. Digital Year in Review, which saw etail spending decrease 2% year-over-year to $209.6 billion. Weighing down the broader numbers, travel e-commerce spending dropped 5% in 2009 to $79.8 billion, while retail — non-travel — e-commerce spending actually remained flat at $129.8 billion. In stark contrast, most of the last decade was filled with annual retail growth rates in excess of 20% annually, which tapered off by 2008 when the economy began to buckle. “2009 on the whole fared significantly worse than the previous year with year-over-year growth rates remaining negative throughout most of the year,” according to comScore. That said, the 2009 holiday season represented a bright spot in this largely negative year for e-commerce as it marked a return to positive growth rates, with both November and December showing gains of a few percentage points. Yet, this growth could be attributed to more favorable year-over-year comparisons versus the disastrous 2008 holiday season. Though few and far between, 2009 did have its winners. In particular, the books and magazines category showed an impressive 12% growth rate, bolstered by category-wide price-cutting and the release of numerous high-profile bestsellers. Computer software purchases were up 7% online, followed by sport and fitness — up 6% — and jewelry and watches — up 4%. In the search category, Microsoft sites grew from an 8.3% to 10.7% share of all search queries — with nearly all of that growth coming in the second half of 2009 subsequent to the software giant launching Bing. Overall, the U.S. core search market grew 16% in 2009, driven by a 6% gain in unique searchers and a 10% gain in searchers per searcher. Despite its well-established leadership position, Google Sites’ search query volume still managed to grow 21%, driven both by gains in searches per searcher — up 10% — and unique searchers — up 9%. Led by Facebook and Twitter, social networking established itself as a serious pastime among many Americans. Social networking activity now accounts for 11% of all time spent online, while 4 out of 5 Web users visited one network or another in December. Facebook finished the year with 112 million visitors in December — up 105% year-over-year. Twitter finished with nearly 20 million visitors — up from just 2 million visitors from the previous year. In addition to its surging membership, Facebook grew substantially across nearly every performance metric in 2009. Unique visitors, page views, and total time spent all increased by a factor of two or more. For more information about the demographic compositions of social networking, read the original article here. In 2009, U.S. Internet users viewed a total of 4.3 trillion display ads — standard and non-standard IAB ads, including both static and rich media, but not video — representing a growth rate of 21% versus a year ago. These gains were driven by an 8% increase in the number of people exposed to display ads online, and a 12% increase in average frequency. Mobile phone network providers AT&T and Verizon ranked as the top U.S. online display advertisers in 2009 — with 84.3 billion impressions and 56.8 billion impressions, respectively. With regard to online video, 19% more people in the U.S. viewed more videos for longer periods of time in 2009. In December, a full 86% of the total U.S. online population viewed video content. This interview is published by Online Media Daily, read the original article here.